Can you see how to write down two expressions for the length of side a? Please work from the definitions and verify that a = c × sin A = c × cos B . 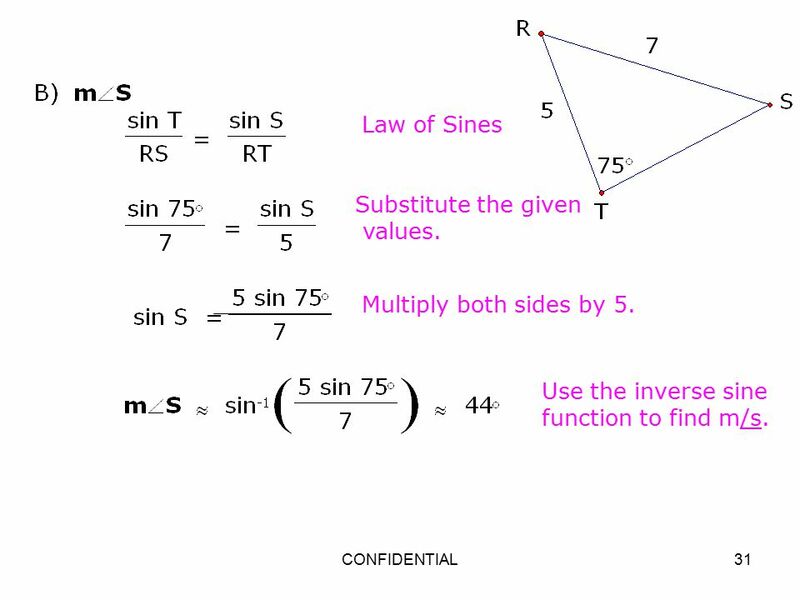 Example: Given, a right triangle with angle A =52° and hypotenuse c = 150 m.
The Law of Sines is a/(sin A) = b/(sin B) = c/(sin C) = the diameter of the circumscribed circle. ( proof ) If you know the length of two sides and an angle other than the angle between those sides, then the Law of Sines can be used.